Bleecker Street Designer Backgammon Set Bleecker Street Backgammon [1723M] - $59.99 : Bello Games New York, INC. 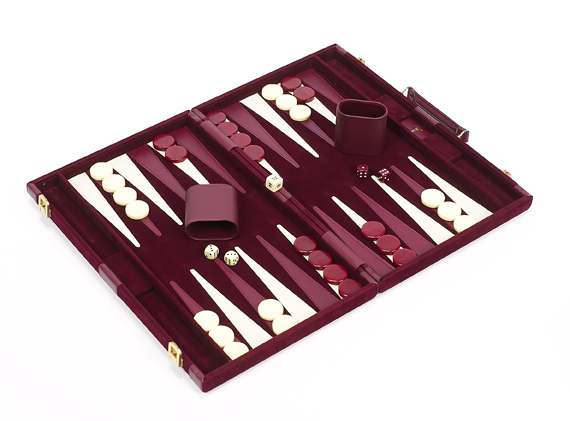 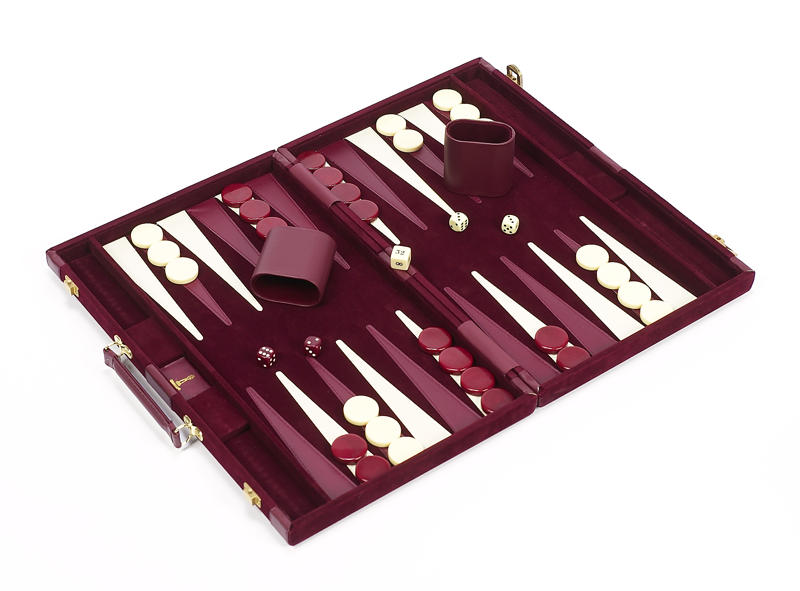 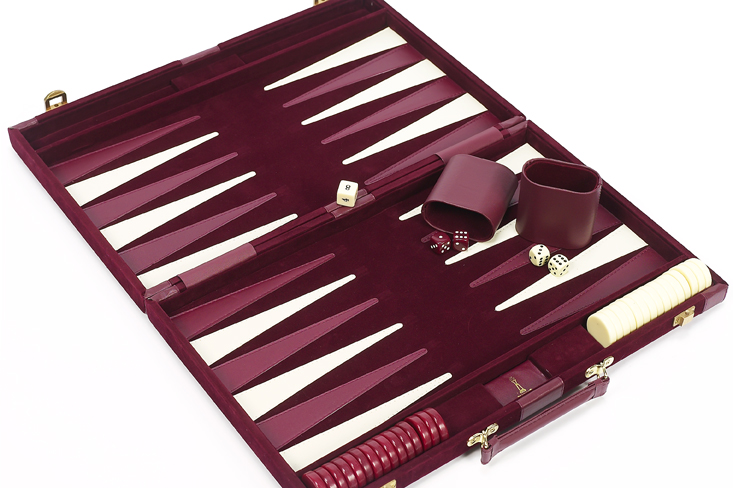 This elegant velour backgammon set features a beautiful design with rounded corners and solid brass hardware. 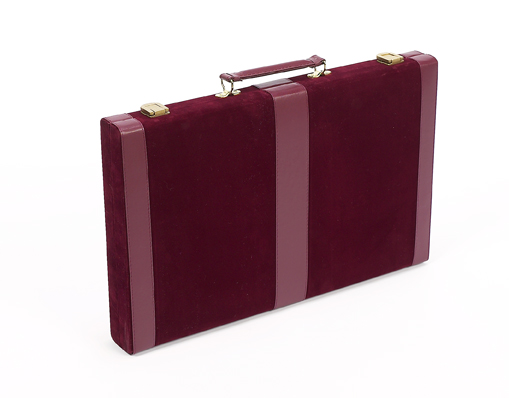 The interior/exterior is velour with leatherette diamonds. The backgammon dice and backgammon checkers are made of uria stone, so they will not crack or chip. 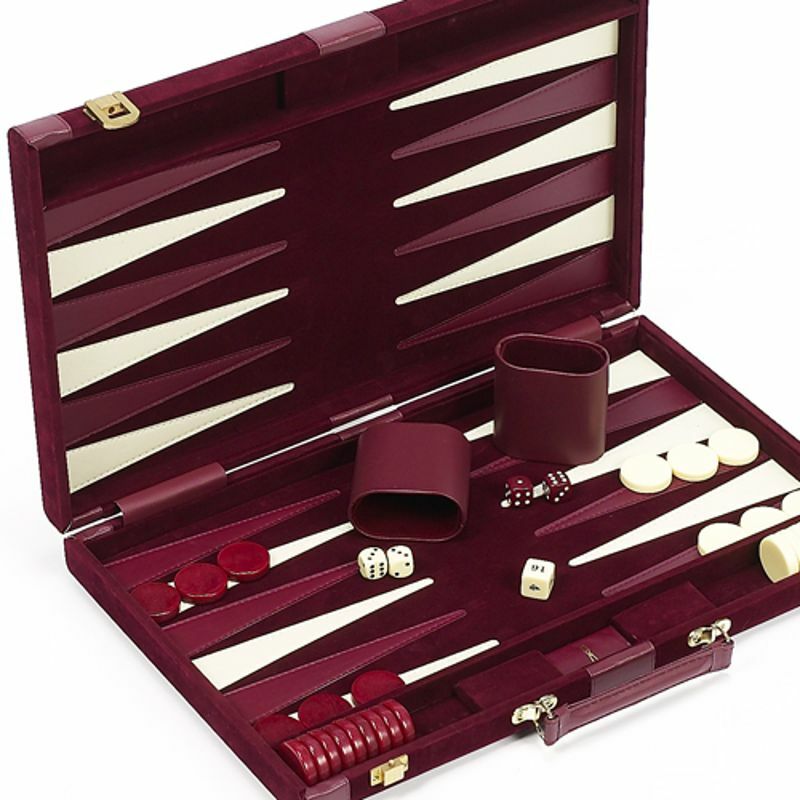 Complete with 30 backgammon checkers, 4 rounded dice, 1 doubling cube, 2 dice cups and an instruction booklet.